We are all familiar with walking down the street and coming to a crossroads with a stoplight and the direction of “walk, don’t run” flashing when it’s our turn to cross the street. What a wonderful saying for our journeys through life. How often does it happen that before you know it, a day has passed and you don’t remember the feelings or impact your actions or experiences have had on you? You have gotten a host of things done off your to-do list and start preparing your list for the next day. Maybe a sense of accomplishment is felt, but what was your experience of this day? What opportunities did you miss or what challenges were skipped because of racing through that checklist of “productivity”? I do not discount how busy our schedules can be and the errands and chores that require attention on a daily basis. But, consider this. We all have been driving down a city street, noticing and trying to avoid the vehicle that weaves in and out of traffic to get ahead of everyone else. How many of you are aware that more often than not you catch up with the hurried driver at the next stoplight? The point is that we get nowhere fast when we race through life. We miss the nuances, the beauty, the life lessons, the seeds for wisdom whenever we hurry, destined to repeat the same mistakes, miss the important messages, and feel drained of energy. There is no finish line to cross, no person to beat, no stopwatch to monitor. Life truly is not a race to be won, but a journey to be enjoyed. Make sure you see all the sights: Walk, Don’t Run! Today, all around us, there is so much that could trigger a pessimistic attitude towards life. We all know what our triggers are. How can I see the rainbow when it’s raining so hard? How can I see the glass half full when even the glass is dirty? Silver lining? What silver lining? What I want to focus on is cultivating optimism in the face of today’s struggles. Cultivating optimism begins with attitude. How we look at a situation, event, or interaction demonstrates which side of the attitudinal scale we come from – the upside or the downside. Our thoughts and feelings will follow based on our location on the scale. It is key to know that we are in charge of the attitude. We may not be in control of the situation or event, but we are definitely in charge of how we look at it. So, it is a choice. No matter what the circumstance, we must stay in charge of how we see it to cultivate optimism. Once we claim our ownership of attitude, we can begin to look at each life event from anywhere on the scale we choose. Cultivating optimism involves looking for the lesson in a tough situation. What purpose does it serve for us? Sometimes the answer is a resounding “I don’t know”. That’s ok. The purpose is understood when it presents itself, and no sooner. Trusting that the lesson will be revealed, learned, and applied allows us to view anything from a more positive, life-enriching standpoint. 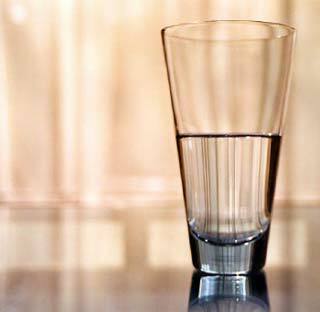 So, take a look at the glass: half-full or half-empty? You decide. Keeping your power switch turned on! How many times throughout the day do you say or do something that isn’t what you wanted to say or do, and later wished you could have or would have said or done something different? Confusing? Let’s look at two examples and see if either applies to how you, at times, relate to others. You have a girls’ night out once a month. The weekend before your scheduled get-together, you go see a movie with your husband and really don’t like it. The girls’ group plans to see a movie for this month’s night out, and the popular pick is the movie you just saw. When asked if that’s a good pick for you, you tell your friends, “Sure, I’m game.” Inside, you are irritated with yourself that you didn’t speak up to share your opinion. You go to the movie and suffer silently. Or, your supervisor likes to tease his employees when they make mistakes. You find his behavior embarrassing and distasteful. You make a minor mistake on a report; your supervisor teasingly says, “Way to go, Einstein” in the presence of your co-workers. Your face gets hot; you see red; you stand up and shout, “Shut up, you are so ignorant,” and bolt out of the room. What happened with each of the women in these scenarios? Let’s take a look. The first woman denied her reality by squashing her opinion and passively going along with the crowd, even when she did not want to. Now, if she had spoken up, she may have indeed still seen the movie again, but she did not even give her voice a chance to be heard with her friends. How about our second scenario? On the surface it may look as if the woman kept her power switch turned on by yelling at her supervisor, but the opposite is true. She, too, turned off her power switch by reacting with anger. She really wasn’t in charge of herself during that time. Therefore, her power was shut down. Both women had abandoned their powers of choice and became reactors. What triggers this reactivity that leads to an either-or, fight-or-flight position? It is fear…irrational fear. “I’m afraid they won’t like me.” “I’m afraid others will think I am weak.” “I’m afraid she’ll get angry with me.” “I’m afraid she won’t be my friend anymore.” “I’m afraid she’ll think I’m stupid.” And on and on and on. You fill in the blank. When you go into reactive mode, you limit your choices to only two…neither of which are usually from your power switch turned on. Often, a good way to tell that you have turned off your switch is when you find yourself obsessing about and replaying the scenario well after the interaction/event has occurred. In the replay in your head, you may be thinking of things you wished you would have said or done; possibly reliving the uncomfortable emotions you felt at the time; or, planning a way to “get even”. In short, you are not finished with the scenario long after it is over. This is a sign that you did not deal with the issue at hand with your power switch turned on. If you deal with an uncomfortable scenario with your switch on, you will be finished with the scenario at the time it ends or shortly thereafter, after a brief replay for a quick assessment of your behavior. The secret is to silence the irrational fear before you decide what to do. A simple formula to do that is to say or do nothing when challenged interactionally. It’s important that you buy yourself some time to get your emotion in check and keep the power on. You can do this by counting to ten, leaving the room for a while, going for a walk….anything that will help your thought processes diminish the draining energy of fear. Once you are in charge of the fear, other choices will come to you on how to handle the situation. You then have the power to choose how to respond from a variety of options. And, when you do respond, your presentation will be more empowered and you will be more equipped to handle however the person responds or reacts to you. Now, as you can see above, generally speaking, triangles are not a problem if they meet the following criteria: the what (content) and the why (motive) are not negatively charged. They are primarily used for informational purposes or with a compassionate intent. However, dysfunctional triangle communication can cause disruption in clear communication and result in negative consequences relationally. In this article, I am mainly focusing on the triangles that involve the third leg as a person. You have an argument with your sister-in-law and vent about her to your mother, who you know dislikes this sister-in-law. You have just initiated a dysfunctional triangle. The content included speaking angrily about her to someone who would probably agree with you; and the motive wasn’t clean because the intent was to have someone join you in the anger, keeping the emotion as the prime focus. – Your anger feels justified and you have no thoughts of resolving the issue with your sister-in-law. – You do not learn from the interaction; in fact, you can become more stuck in a relationship dynamic with her that can only get worse. – A lot of emotional energy is wasted. – No positive outcome can occur as a result. – You may not be open to an apology from your sister-in-law. – You could develop the reputation as a gossip or a pot-stirrer. – You depend on the more reliable of the two to do more of the work because you know it will get done. Imagine the imbalance this can create, which can only lead to more communication dysfunction in your business. The possibilities are many and the consequences can even lead to your business failing! These are just two examples of dysfunctional triangles. They happen everywhere…at work, home, social events, with your friends and with your significant other. This will help keep your communications clear and keep you out of dangerous territory relationally. So, beware the triangle!